Foodie things to do in Duluth, Georgia! 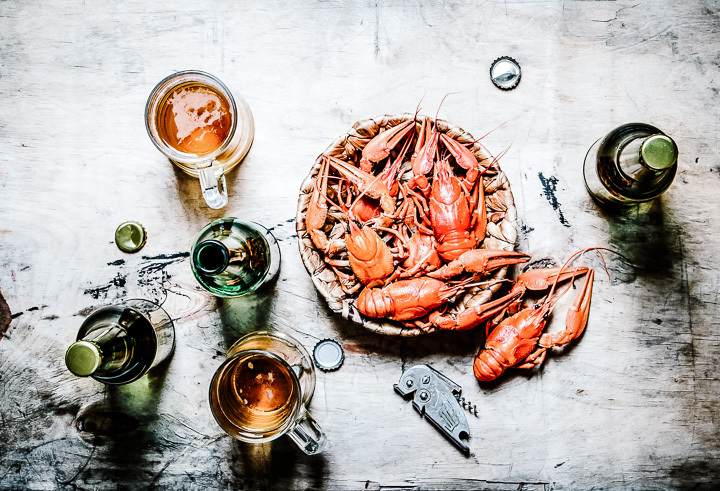 From crawfish festivals to exploring Koreatown, Duluth should be on every foodie-obsessed traveler’s bucket list. Most visitors to Georgia make the usual tourist stops, including Atlanta, Savannah, and the beautiful Atlantic coast. You’ll find much more to see in Georgia, which is why I’m highlighting food-forward cities throughout the American South that you may not have thought to explore. The first stop is Duluth, Georgia! Duluth is a suburban city of 30,000 people in Gwinnett County, which is located on the northeast outskirts of the Atlanta metropolitan area. While it may be small in size, Duluth is rich in adventure for the food-obsessed traveler. Read on for five foodie things to do in Duluth, Georgia. Think Louisiana is the only American state known for its music and crawfish? Think again. Duluth’s annual Mudbuggs and Music Festival in March includes a full-day crawfish boil featuring a beer garden and live music. Bring your plastic bib and a whole lot of napkins! Want to taste all that American cuisine has to offer but don’t have the vacation time? Four Forks Restaurant serves up American classic dishes from the South, Northeast, Midwest, and West every day for lunch and dinner. Visit the culinary four corners of the country by starting with Northeastern crab cakes and Southern fried green tomatoes. Finish your meal with a Western lamb T-bone steak and a side of Midwestern creamed corn. Did you know Duluth is considered the Seoul of the South? Gwinnett County has the most densely populated Koreatown in the American South. Because of this, Duluth has become known as a hub for Korean food, markets and restaurants. Explore all the Korean culture Duluth has to offer by taking the Explore Gwinnett Seoul of the South tour. Downtown Duluth transforms into a Friday-N-Duluth community block party every Friday evening from May to September. You won’t want to miss the food trucks! Explore an array of local and international cuisines while listening to live music in historic Downtown Duluth. Each September, Duluth hosts the eclectic (and boozy) Bourbon & Bacon Art Show. Attendees snack on epic boards of bacon, sip on local bourbons, and enjoy artwork from local artisans. This free event happens only once a year, and tickets sell out quickly. Mark your calendar for a night of paintings and pork. How to get there: Fly into the Hartsfield-Jackson Atlanta International Airport and take a 30-minute drive north on Interstate 85. Where to stay: Duluth boasts an array of hotels, motels, and bed and breakfasts with a range of amenities and price points. How to get around: Downtown Duluth is walkable, and buses are an easy option if renting a car is not your style. As you can see, Duluth, Georgia travel is ripe with delicious restaurants, food festivals, and unique culinary events. Don’t miss all the things to do in Duluth on your next trip through the South!